I love bright colors, and it shows in my decorating style. I have a little rancher, and my love for bright tones shows all the way through. My kitchen is turquoise (chosen after a trip to Aruba-the sea was a beautiful aqua. 2 weeks later, my walls were, too) My bathroom is red, my office is green. My living room was lacking. 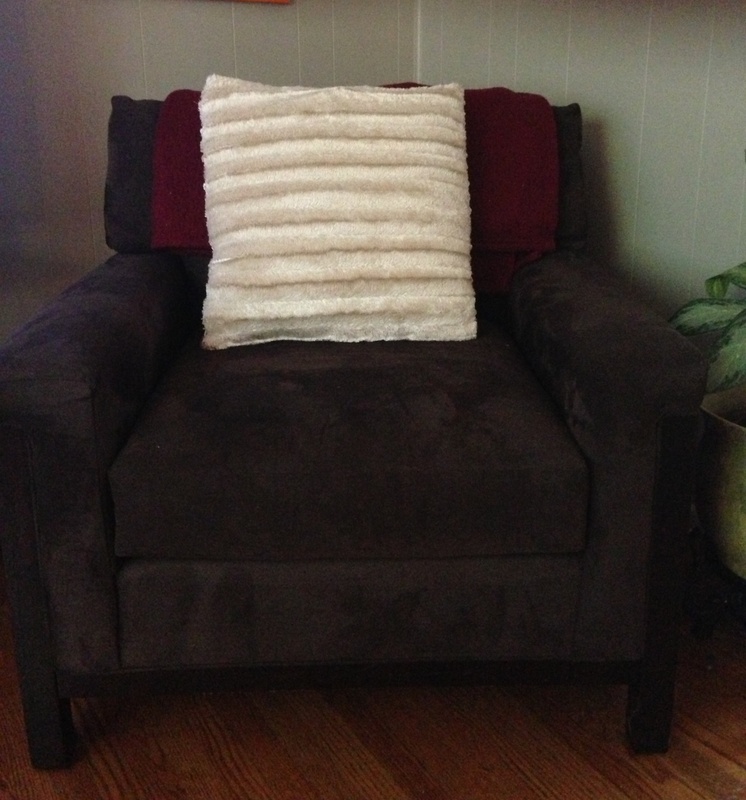 I had used navy, maroon, and beige in my living room, and decided that just wasn’t cutting it. I thought about changing the decor for a year or so and couldn’t decide how I wanted to proceed. At first, I thought I would paint the walls yellow. I love pale yellow. However, my old condo was painted yellow, so I decided to go with something more original. Is orange bright enough for me?? Now, I didn’t know how much orange to really use. I didn’t want people to walk into my living room and feel like they were entering a pumpkin’s intestines. I looked at tons of pictures on pinterest and took to the internet to find some guidance. I found an article that recommended using the bright color on 10% of the decor. At first, I was going to paint one of my walls orange, for an accent look. I decided to go with orange curtains instead. 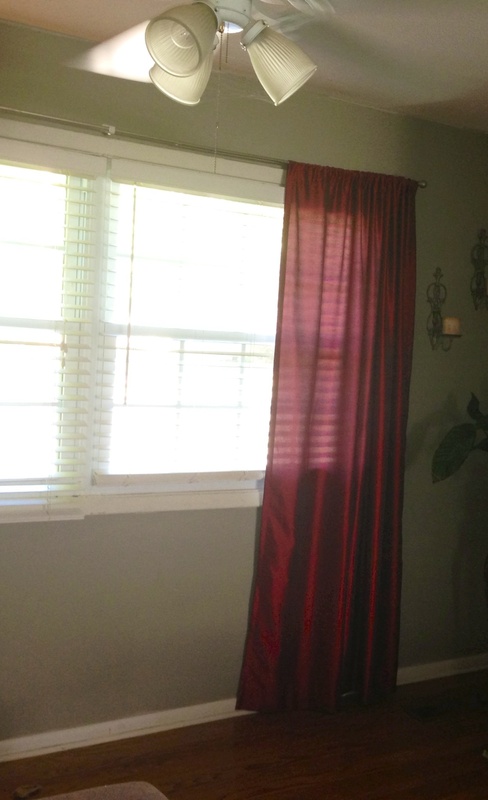 I think of curtains as a window’s earrings, and you know by now how I feel about earrings. 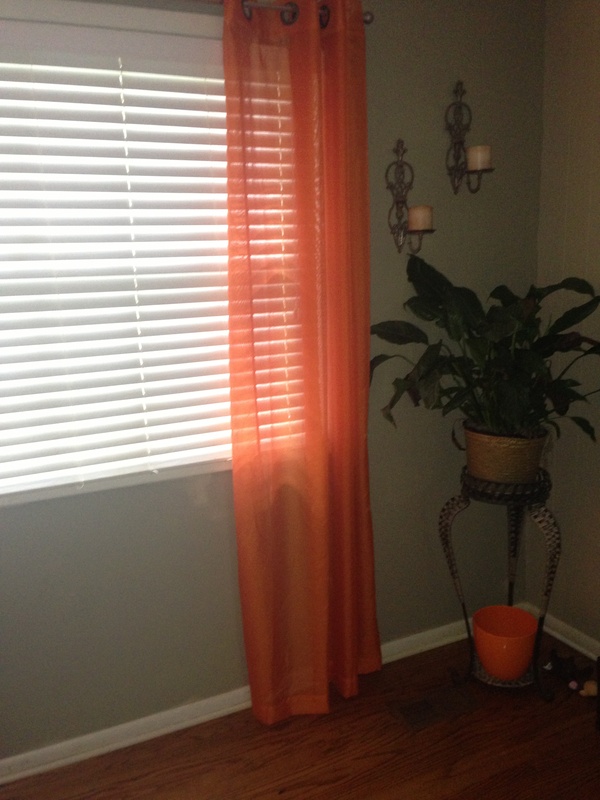 I ordered solid orange curtains on eBay, and waited impatiently for them to arrive. What a difference! I had maroon curtains, and when I ripped those puppies down and replace them with orange ones, it instantly ‘facelifted’ the room. I loved it immediately! Here’s are before and after pictures. Another big pain point was the rug. I had a dark, drab navy and maroon area rug, and it took me forever to decide what to do. I looked at solid orange ones and print orange ones til my eyes crossed! I finally stumbled upon my solution at Ross. I found a solid dark brown shag area rug for $39! Yippee! It complemented the orange perfectly. I finished out the look with accessories. 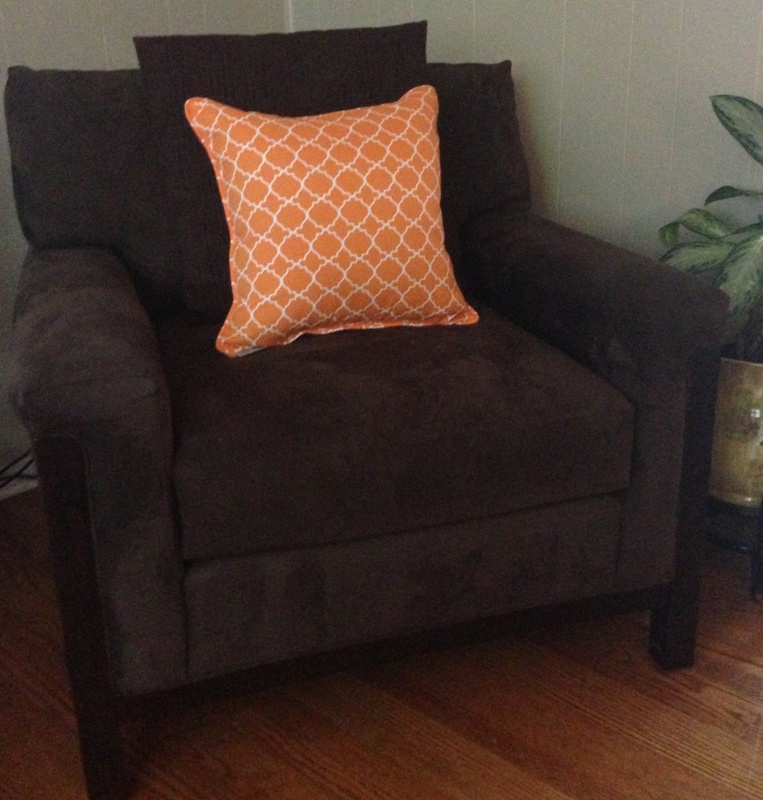 Some orange print pillows from Home Goods for $20 and an orange vase and candle. Overall, I spent about $100 on my living room, and it looks completely updated! I highly recommend picking a bright color and going for it! You won’t believe how much it lifts the mood. Life is too short for bland decor!